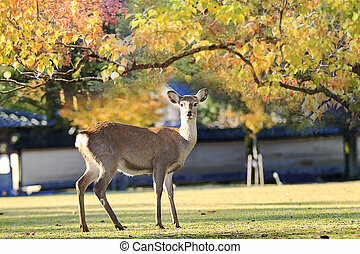 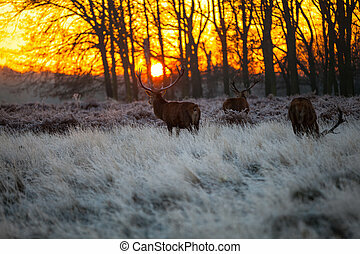 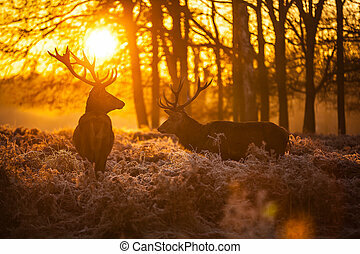 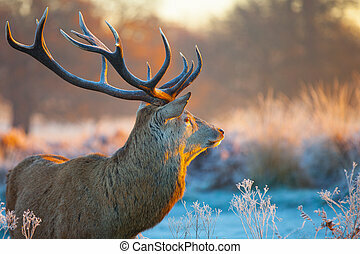 Red deer in morning sun. 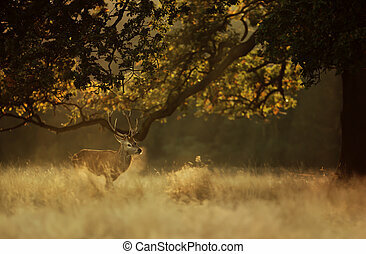 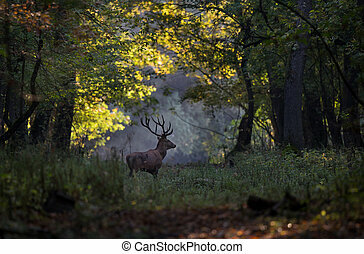 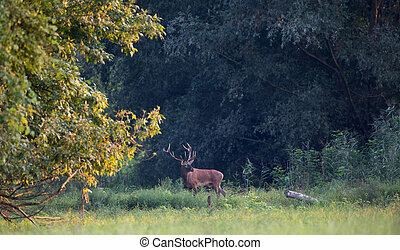 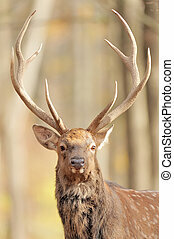 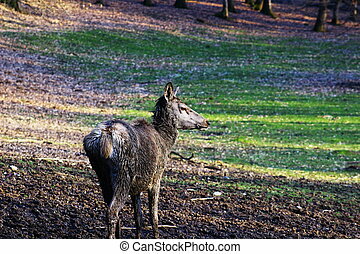 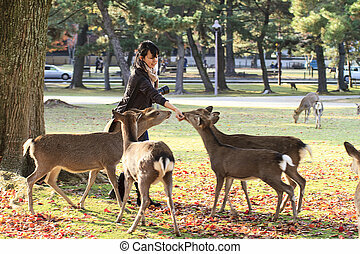 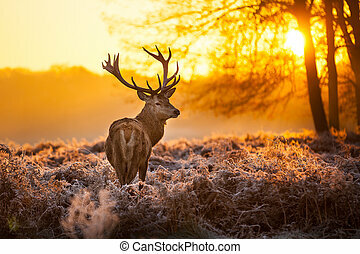 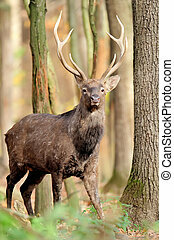 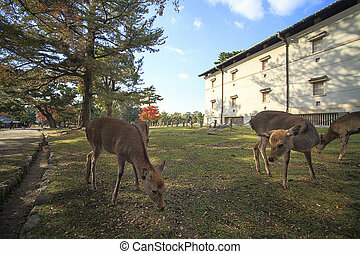 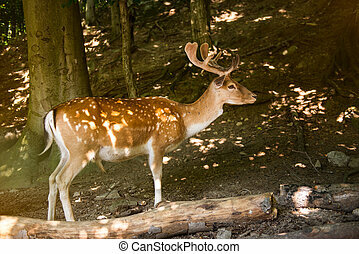 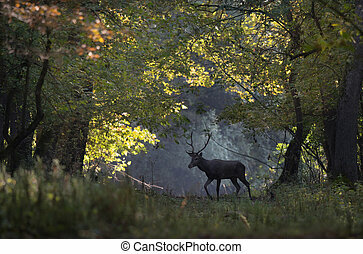 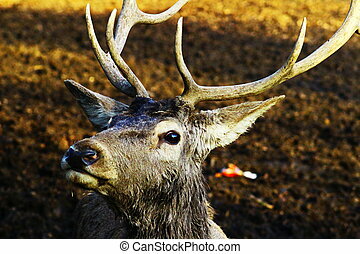 Beautiful forest landscape with beautiful red deer stag. 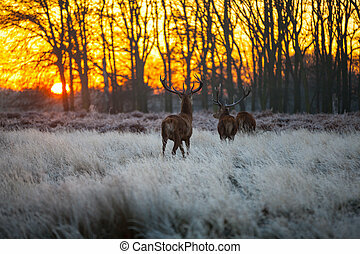 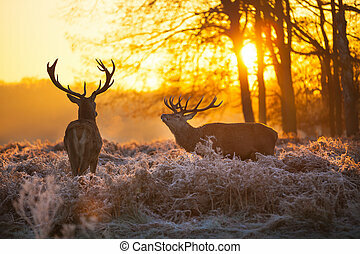 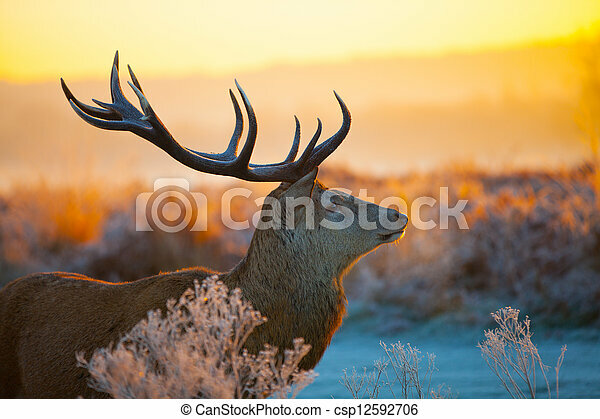 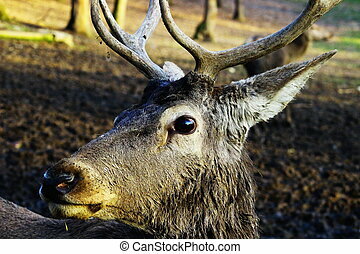 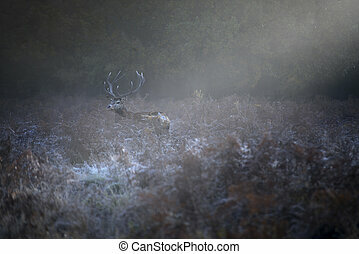 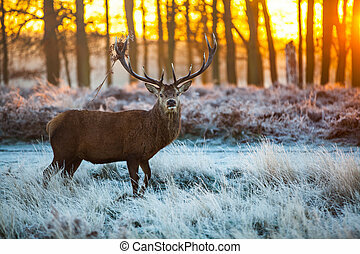 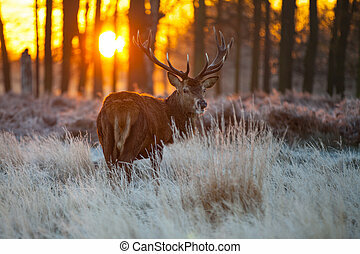 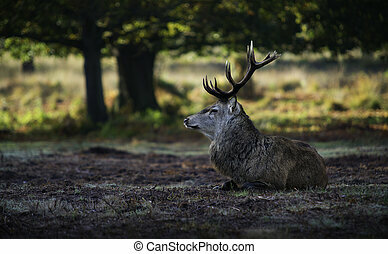 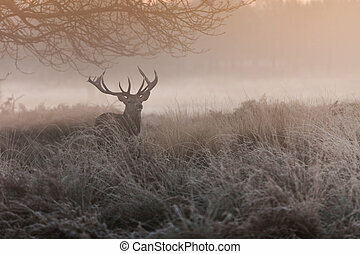 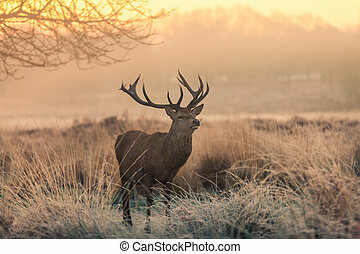 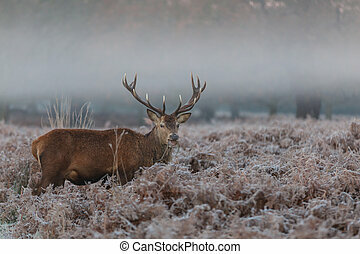 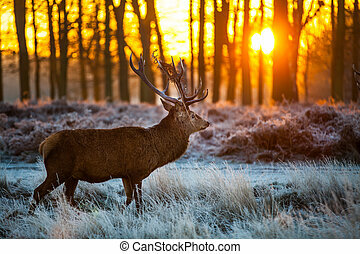 Red deer stag exhaling cold breath in early morning light, UK.